"WATCHING my dad's band perform when I was young was [my] biggest influence," claimed Empire Assassins' guitarist and lead vocalist Kevin Schmidt, after I Heart asked who helped him get to this point. He continued listing off the likes of Nirvana, Soundgarden, old school Metallica, and even The Beatles as key stimulants in his co-founding of the local band, with drummer and background vocalist Stu Murland. Schmidt and Murland had met years earlier through a mutual friend named Sara, who "always said they should hook up and make some music together." With Sara's persuasion and a shared passion for grunge and metal, Schmidt and Murland got together for a jam session, shortly before Sara left for Australia. That, in turn, led to further sessions between the Edmonton-based musicians, who eventually incorporated an electric guitar and drum kit into their sound. They teamed up briefly with fellow musician Jeff Fieber, whom they hadn't been acquainted with in some 10 years, and played for the first time as Empire Assassins, after "many name changes." 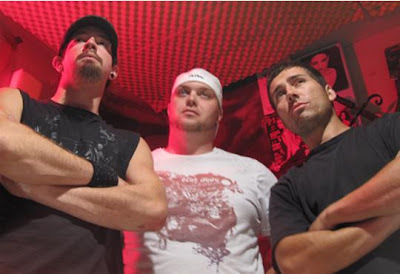 That was August of '08, about three months after the band officially formed. The following November saw Trevor DePaige join the line-up on bass, by which time Fieber had come and gone. The year also welcomed Assassins' premiere gig, earning themselves their first $100 during a Jasper benefit concert in which proceeds went to help build a school in Kenya. "They offered us hotel rooms," remembered Schmidt, "but we went camping instead." By the time DePaige was replaced by Clay "Gully" Gullickson (drummer for Shreddin' Onions) in May 2009, Empire Assassins had authored a catalogue of gritty metal-infused, grunge-tinged alt-rock songs with titles like "Wolves (Live to Die Another Day)," "Vendetta," "You Never Told Me," "B.C.," and "Kokomo." Several of these songs show signs of classic bluesy-rock or even shades of reggae rhythms. Empire, which refuses to refrain from lyricism that confesses their inclination to marijuana ("If You Wanna"), doesn't tip-toe around the issue of Ms. Mary Jane. In fact, last July the trio met up with cannabis advocate Marc "Prince of Pot" Emery during his farewell tour across Canada, and performed a couple of songs for the political prisoner of the apparent "war on drugs." The currently-unsigned patriots have self-released a 7-song demo called Birth of the Empire, which is also the title of one of its 7 cuts. Although they've put their touring and recording schedule on hold for November and this December, frontman Schmidt assured I Heart that they'll be taking to the studio sometime next year to put together their first full-length album. By that time second guitarist Wil Markstrom will complete the band, and will likely hit the road with the other Assassins when they resume performing as well. Like seemingly all indie or international bands, the members of Empire Assassins have branched out to develop material in sister projects as well. They've cloaked themeselves as BrandedOak and have performed and recorded under the musical alias, including the gig at Jet Nightclub in the YouTube video below. BrandedOak's approach is much more mellow than that of parent band Empire Assassins, despite sharing frontman Schmidt (a.k.a. "Coemgen"). Since 2001 BrandedOak has merged variations of rock with the exotic sounds of Arab and East Indian tones, inspired by a religious and naturalistic background. But it doesn't end there! Schmidt & Murland also rotate their musical savvy to accomodate another outfit, Spheres of Intelligence, alongside lyricist and multi-instrumentalist Sword (Shaif Buksh). Murland maintains percussions, while Schmidt moonlights as producer and arranger, in addition to his usual duties. Assorted guests supplement necessary functions for live performances. Sword and Schmidt are also active in yet another collaboration, SpheresAxis, an "experimental hip-hop" outlet for the musical multi-taskers. The production team-slash-homemade record label prides itself on being self-funded and self-produced, which allows for complete creative control on their musical ventures. Spheres of Intelligence was born near the end of 2001, to "incorporate our life influences into art of sound, vision, thoughts, feelings and other extraordinary sensories through channels of lush electronics and acoustical musical instruments--analog or digital sounds, various software and hardware along with live gears--to bring forth lush sound mixes and other mediums to a reciprocating audience." That about sums it up! Although some of the usual suspects are intact (Schmidt, Murland), S.O.I. is quite a departure from the raw rock blares of Empire Assassins, experimenting with the technical division of their musical palette. And that brings us back to Assassins, the latest incarnation of these accumulated musicians, and which was recently profiled on CBC Radio 3, "the home of independent Canadian music." Though this rock collective is currently on hiatus, they'll be back to their harmonious deeds in the beginning months of 2010, ready to spoil unsuspecting bar crowds with their raucous riffs and unpolished lyricism. Until then, there's always MySpace! 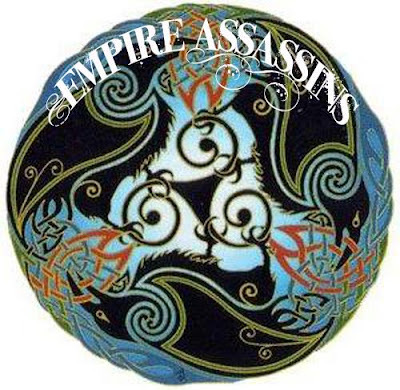 In addition to their MySpace page, you can find updated information on Empire Assassins via Facebook. If you're interested in purchasing their demo, Birth of the Empire, contact them through Facebook or email them at empireassassins@live.com. 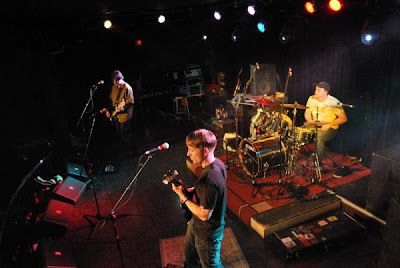 Below is a video featuring Empire Assassins (as BrandedOak) performing for their first time at Edmonton's Jet Nightclub, in December 2008. The track is titled "Babylon." heard of these guys but nevre seen them live. when is the bands next show? check out spheres of intelligence - they are straight up unique, very underrated and awesome!